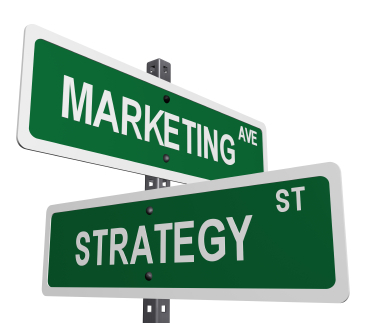 Let’s face it, when it comes to online marketing, there are a lot of choices. Many businesses test endlessly in order to find the marketing techniques that will give them the best return on investment. If your business is wondering where to start, there are four techniques that are time tested and proven to get results to drive more traffic to your website. Not only should those four techniques be included in your marketing strategy, they should get the top priority over other campaigns you decide to try out. Search engine optimization is the first marketing technique that is the basis for every other online endeavor you pursue for your business. A great SEO campaign will increase your rankings in the search engines so more people will find your site based on the keywords you optimized. This organic way of gaining exposure is trusted more by potential customers because they believe the higher you are ranked in the search engines, the better overall company you must be. The next marketing technique is content. There is no other way to compete with online businesses than by offering valuable content, whether it’s articles, video or images. Ideally, creating a high quality mix of these three will work out best for you. Make sure all of your articles are relevant, focused, and engaging. Hiring qualified content providers is a great investment to make if your business isn’t sure on how to create the best web copy or doesn’t have the time. Social media marketing is the next technique that your business can’t afford to do without. Now days people don’t trust businesses that can’t show social proof and there is no better way to gain that proof than through social media. What sites are the most important will be up to your business topic but the most valuable ones are Facebook, LinkedIn, Twitter, Pinterest, Google+ and social bookmarking sites. Many businesses are hiring dedicated social media managers for their ongoing social media marketing campaigns. Finally Pay Per Click advertising is the marketing technique that can put the icing on the cake to the rest of your online marketing efforts. Setting a reasonable budget and creating targeted pay per click ad campaigns can quickly help your search engine optimization, content creation and social media marketing efforts pay off in big ways. The secret to the ultimate success is to make sure you consistently evaluate all the efforts you are making through a comprehensive analytics reporting system.